MLB Network has been releasing their annual position rankings as computed by The Shredder, and it came as no surprise that Mike Trout of the Los Angeles Angels of Anaheim was the top-ranked center fielder going into the 2019 season. The Los Angeles Dodgers were also well-represented on the list as Cody Bellinger came in just behind Trout at No. 2 and recently-acquired A.J. Pollock ranked seventh. Bellinger ranks in the top four among current center fielders in home runs, slugging percentage, wRC+ and WAR since 2017. His .522 slugging percentage ranks only third behind Trout (.629) and Charlie Blackmon (.552), while Pollock is fifth at .477. 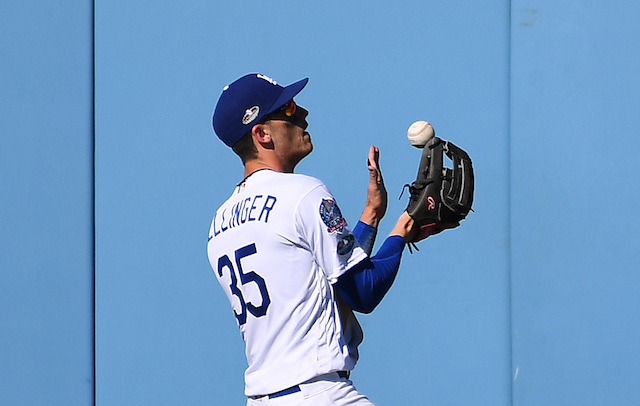 Bellinger has the ability to play all three outfield positions as well as first base at an elite defensive level, so he will likely move all around the diamond again this season. He presumably will be among the top-10 first basemen when The Shredder ranks those as well. It speaks to the Dodgers’ versatility that Bellinger was ranked the second-best center fielder in baseball, but likely isn’t even going to play many games at the position this season with Pollock projected to be the team’s everyday center fielder. 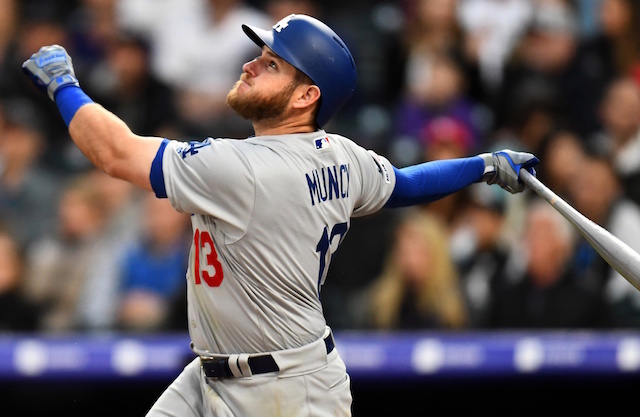 He will be looking to have somewhat of a bounce-back year at the plate after regressing a bit in 2018 coming off a record-breaking rookie season. Bellinger led the Dodgers with 162 games played in 2018, hitting .260/.343/.470 with 25 home runs, 84 runs scored, 75 RBI and 14 stolen bases in 15 attempts. Despite struggling against left-handed pitching, he will get the chance to prove that he can hit southpaws in 2019. The Dodgers signed Pollock to a four-year contract earlier this winter despite his injury history during a seven-year career with division-rival Arizona Diamondbacks. He batted .257/.316/.484 with 21 home runs, 61 runs, 65 RBI and 13 stolen bases in 15 attempts in 113 games last season. He is also known to be an elite defender in center field, winning a Gold Glove Award in 2015. 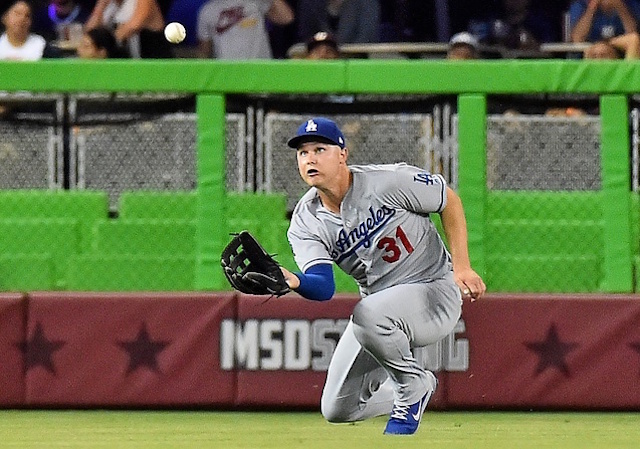 While the Dodgers may not have interest in signing Bryce Harper this offseason, their outfield is still in really good shape, led by two of the premier center fielders in the sport in Bellinger and Pollock.